Do you want to know how to get to the uijeongbu (station)? 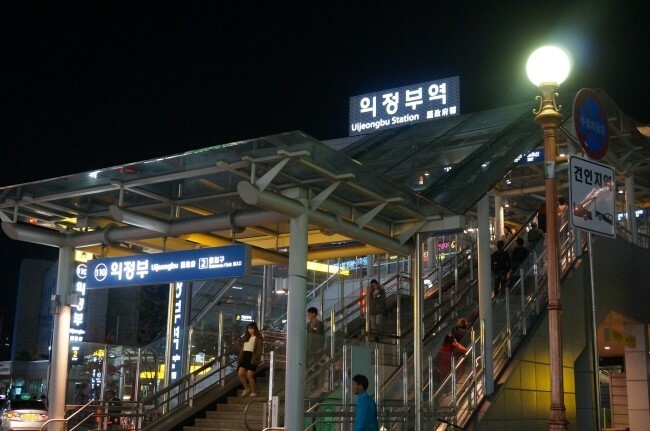 There are many ways you can get to uijeongbu (station) such as public transportation (bus, subway / metro), taxi and Blacklink limo/transfer/shuttle service. Don't sweat outside waiting for other transportation with your luggage. Make a round trip reservation with Blacklink as you plan for your trip. It is easy, convenient and available 24/7. Then, the assigned Blacklink driver will greet you at the arrival and will drive you to the uijeongbu (station). You can use Blacklink for not only hotel but also Gimpo Airport (GMP), Myeongdong, Jongno-gu, guesthouse, resort, airbnb, lodging and anywhere you want to go in Korea. Check out Blacklink customer review posted below. Uijeongbu is located north of the Korean capital Seoul; it lies inside a defile, with mountains on two sides, and commands a natural choke point across the main traditional invasion route from the North into Seoul. As such it has a continued military significance and it contains U.S. and Korean military bases, positioned for the defense of the Korean capital. The U.S. Second Infantry Division has established a headquarters post in Uijeongbu, with the main troops being deployed from Dongducheon city. Despite being known for its military presence, the area has boomed into a satellite community of Seoul with shops, cinemas, restaurants and bars, PC bangs and DVD Bangs. In addition to U.S. personnel, it is popular with the English hagwon (a for-profit private institute, academy or cram school). There are several mountains such as Mt. Dobong (Dobongsan), Mt. Surak and Mt. Soyo. The mountains are popular recreational areas for hiking and are frequented by residents living in the Seoul Metropolitan area. 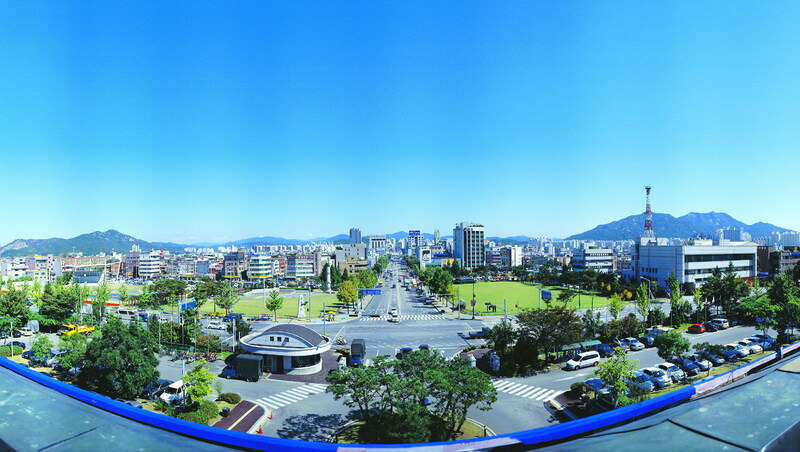 This city is also famous for its budae jjigae (lit. "army base stew"), made with hot dogs and SPAM. In the late 20th century, many wanted the dish to be referred as Uijeongbu jjigae to remove the military or war-time connotations it had associated with it. However, not many restaurants followed this guideline. Some restaurants have begun calling their product Uijeongbu budae jjigae. The city also contains what locals refer to as "buddaejjigae street", a street where there is a high concentration of army base stew restaurants.